Mad at disgraced investor Bernard Madoff? 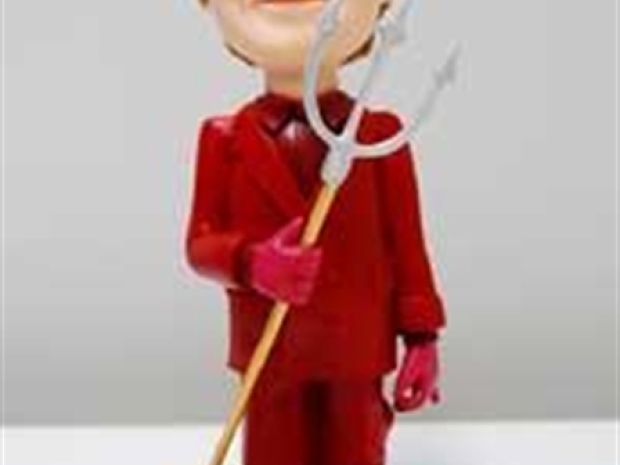 One of the vendors at this week's Toy Fair is offering a $99.95 Madoff lookalike doll that wears a devil-red suit. Mad at disgraced investor Bernard Madoff? There's a toy just for you. Sure it's not the same as losing your retirement savings from Bernie's alleged $50 billion scam. But taking out your anger on a financier-edition voodoo doll sure beats killing yourself. 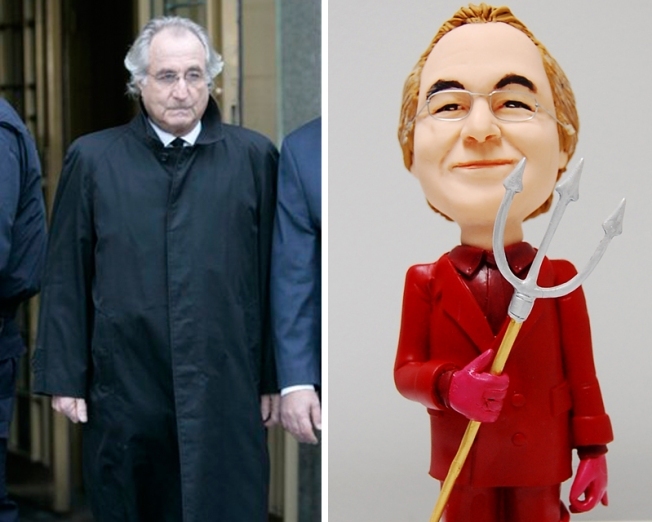 The Bernard Madoff-as-devil doll is getting a lot of attention at the New York Toy Fair. The toy fair is open only to the industry and runs through Wednesday. Madoff was arrested in December after investigators said he confessed to his sons that he had swindled investors of $50 billion in a Ponzi scheme. The list of Madoff victims ran 162 pages long, and included celebrities Kevin Bacon and Larry King. No word yet on if there's a Mrs. Smash-Me Bernie for Ruth Madoff, who withdrew $10 million from a firm co-owned by her husband the day before his arrest.